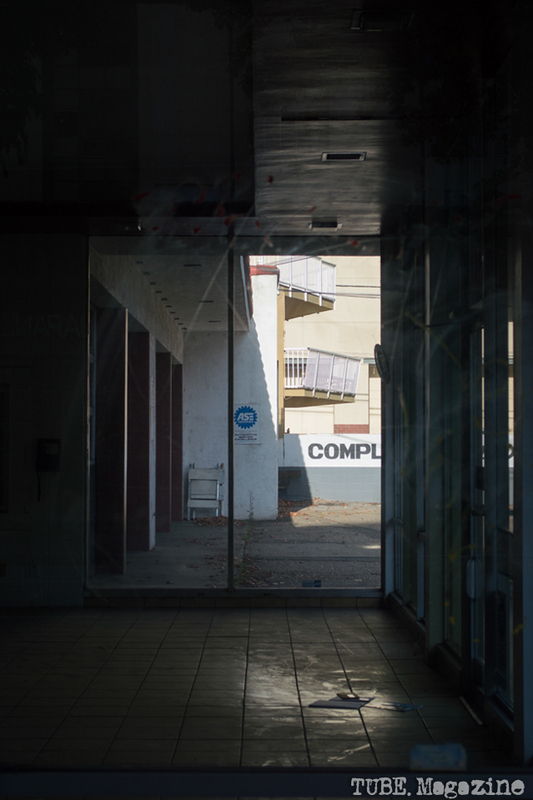 art / artist / culture / Local Love / Out and About / sacramento / Words. 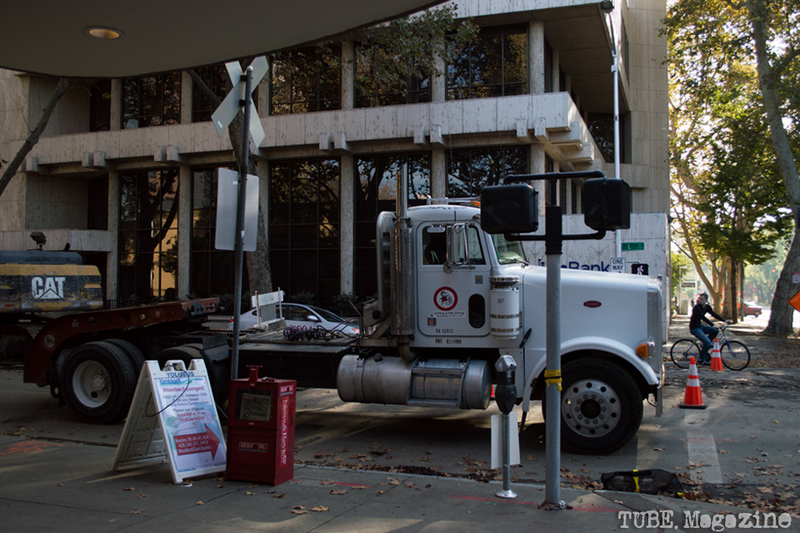 Downtown Sacramento is in the throes of a dramatic transition. With the Downtown Plaza gone and construction on the new arena underway, the city has begun work on bringing the surrounding area up to date. 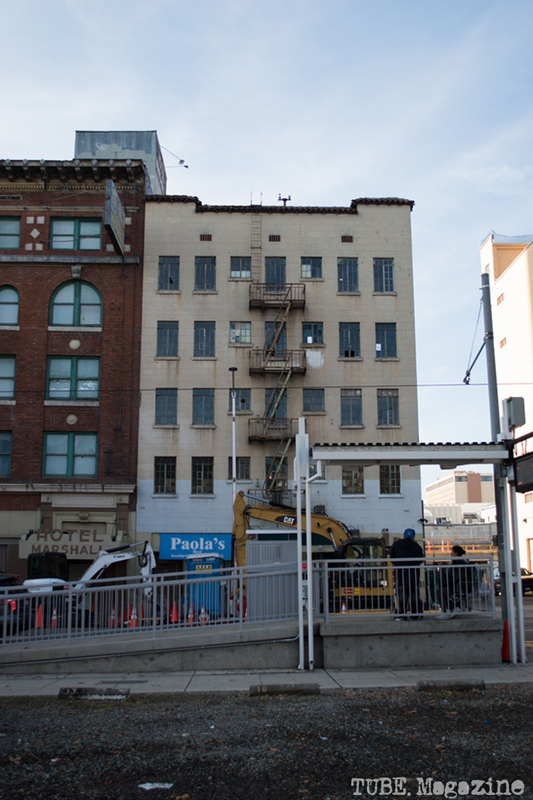 There is still quite a bit of work to be done, however; and as Sacramento begins its march into modernity, downtown has become a place where the city’s historic, though sometimes rough, past mixes with its hopeful future. 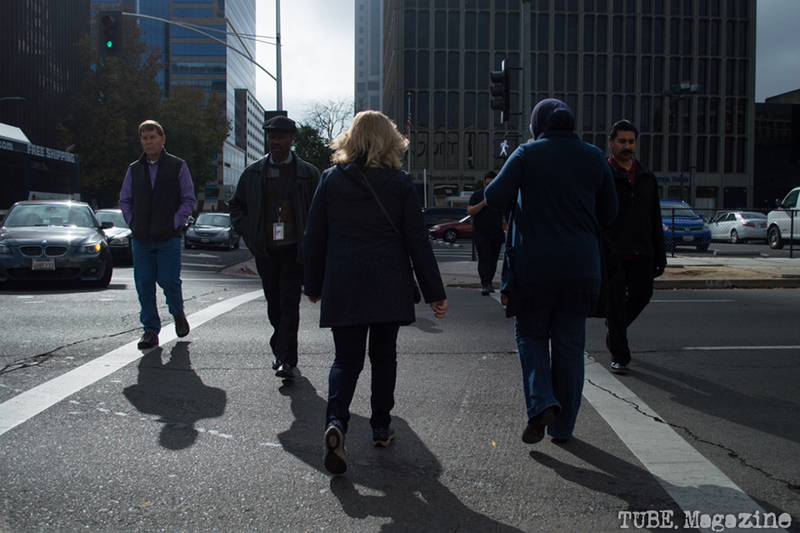 Office workers cross L Street at lunch time. Photo M.Hershenow. 2014. 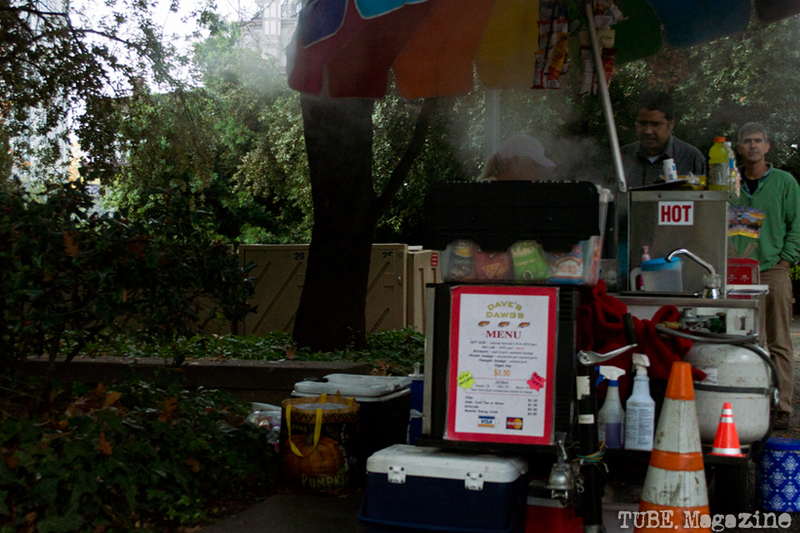 A corner hot dog vender is just one of a number of street food choices on the sidewalk along 5th Street. Photo M.Hershenow. 2014. 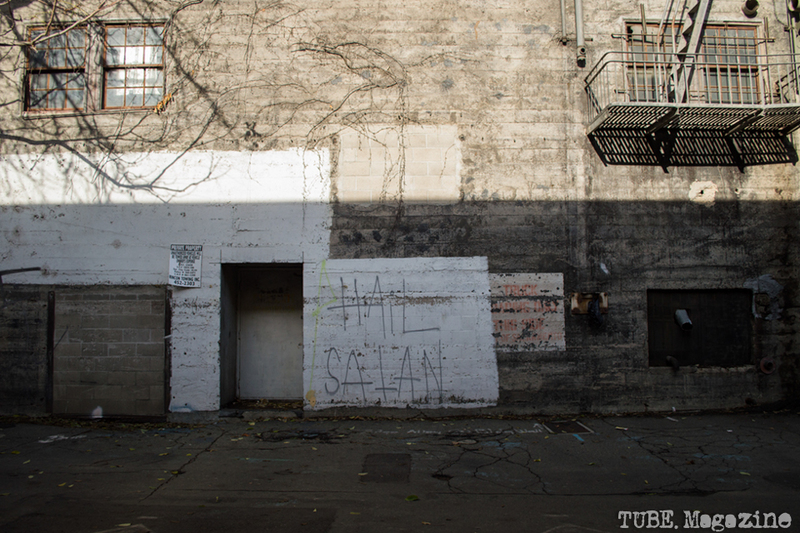 Layers of half-removed graffiti adorn the walls of an alleyway off of J Street. Photo M.Hershenow. 2014. Mail lies on the floor of a vacant autobody shop on I Street. Photo M.Hershenow. 2014. 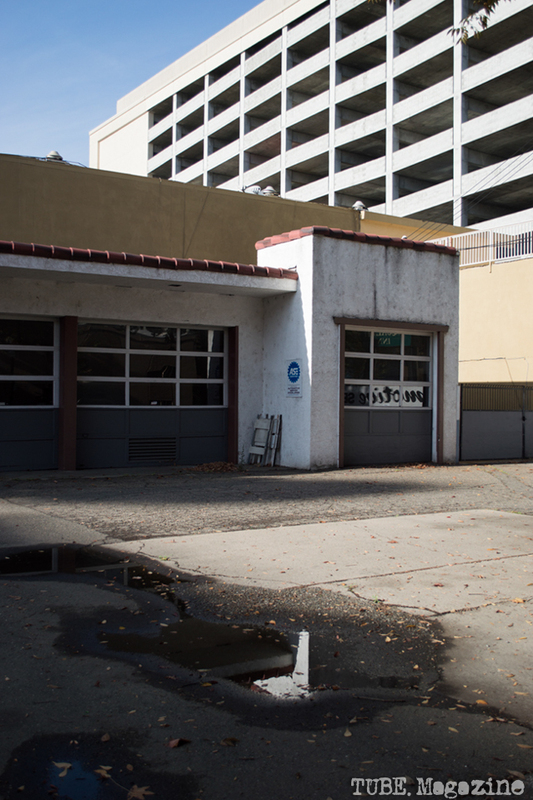 A city parking structure rises behind a vacant autobody shop on I Street. Photo M.Hershenow. 2014. 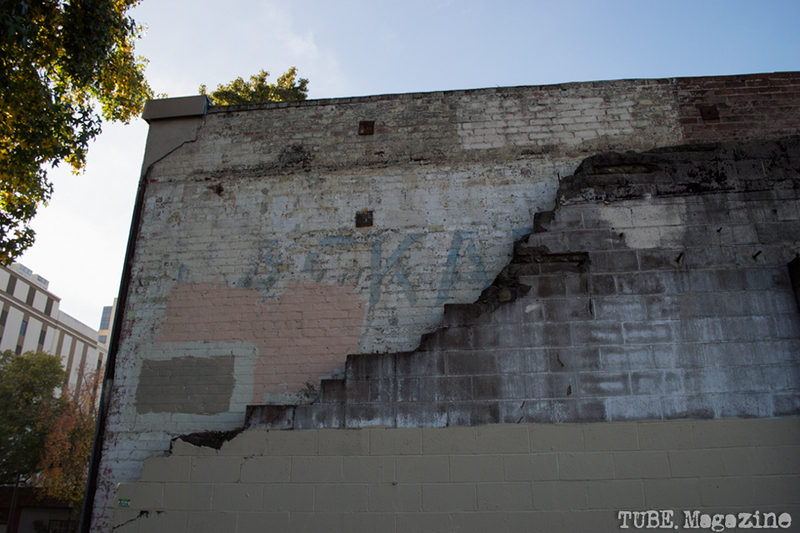 Crumbled cinderblocks reveal the original brick wall on the backside of the former Scientology Center at the corner of 15th and I Streets. Photo M.Hershenow. 2014. 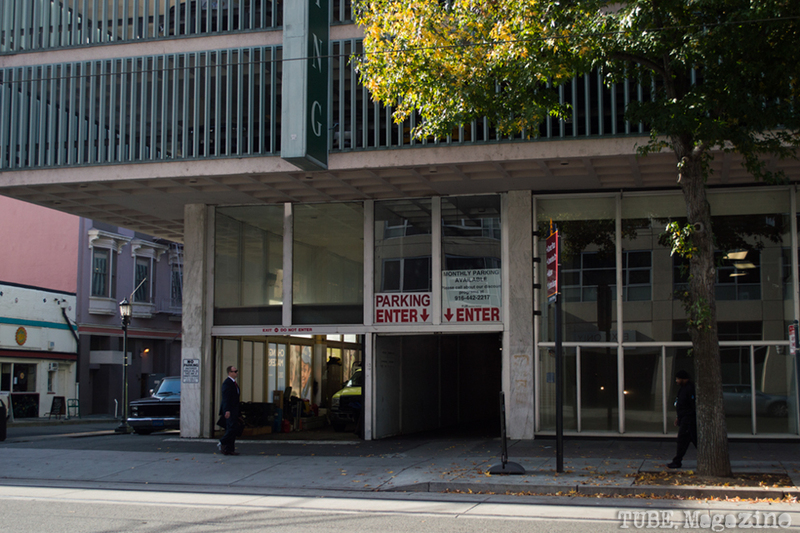 A worker blows leaves and debris off of the roof of a building on I Street. Photo M.Hershenow. 2014. A sharply-dressed man stands in front of a convenience store on J Street. Photo M.Hershenow. 2014. 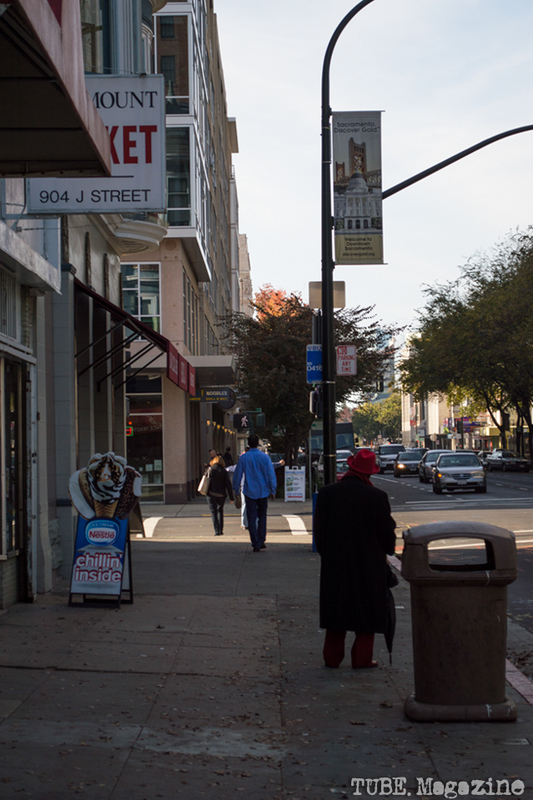 A businessman crosses in front of a parking garage on 8th Street. Photo M.Hershenow. 2014. 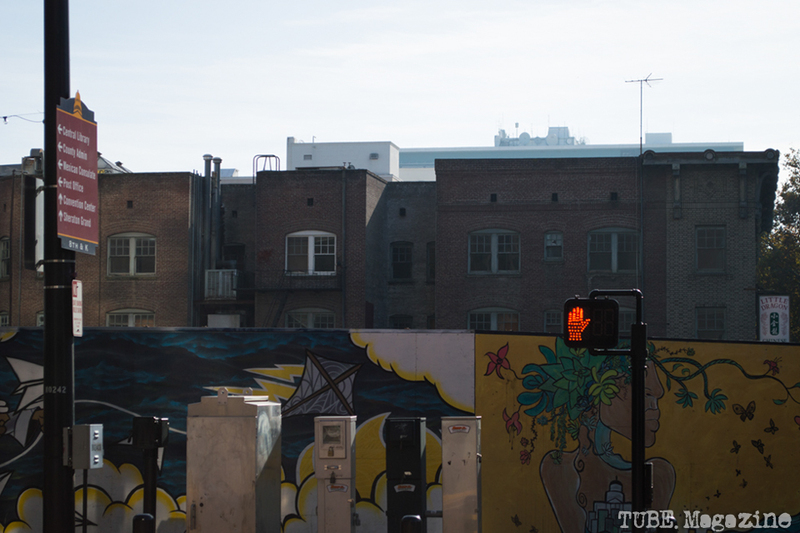 Temporary murals surround a vacant lot on K Street. Photo M.Hershenow. 2014. 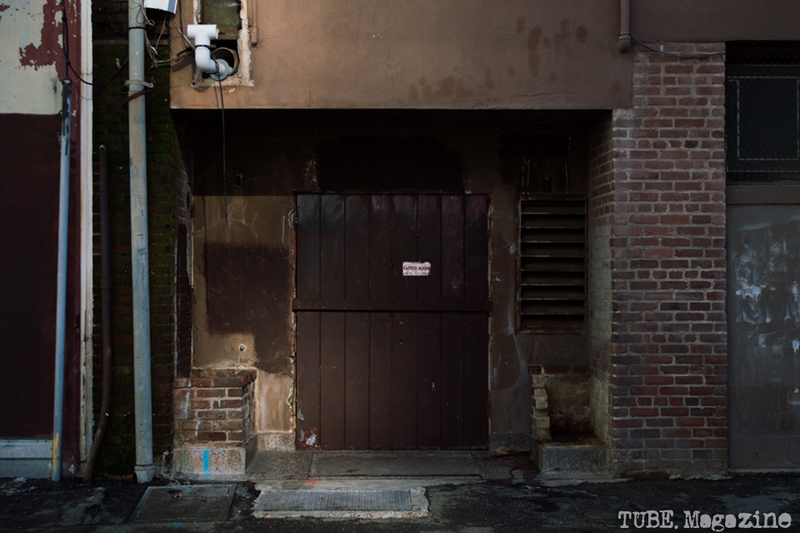 The backdoor of a building in Kayak Alley, between K and L Streets. Photo M.Hershenow. 2014. 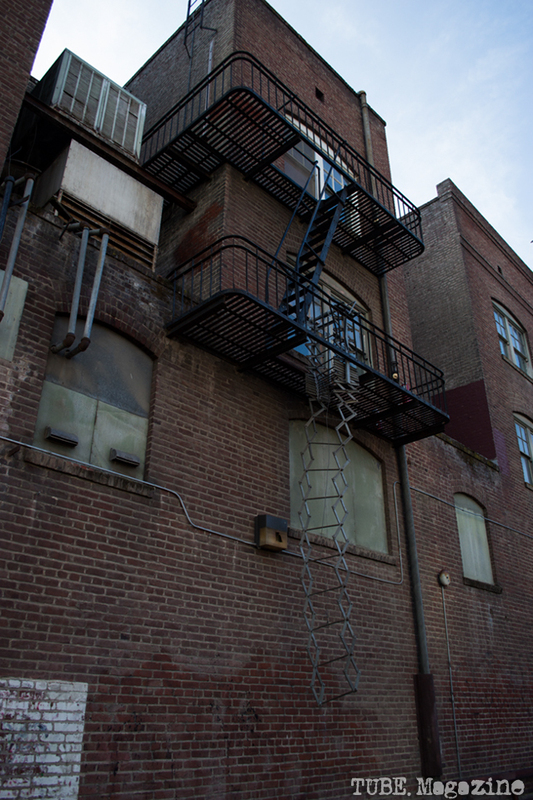 A broken fire escape in Kayak Alley. Photo M.Hershenow. 2014. 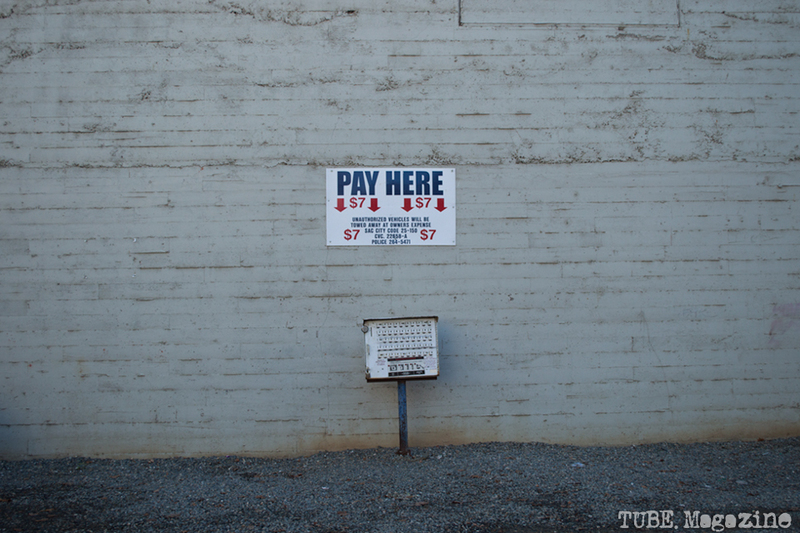 The parking machine of a gravel public lot on 7th Street. Photo M.Hershenow. 2014. 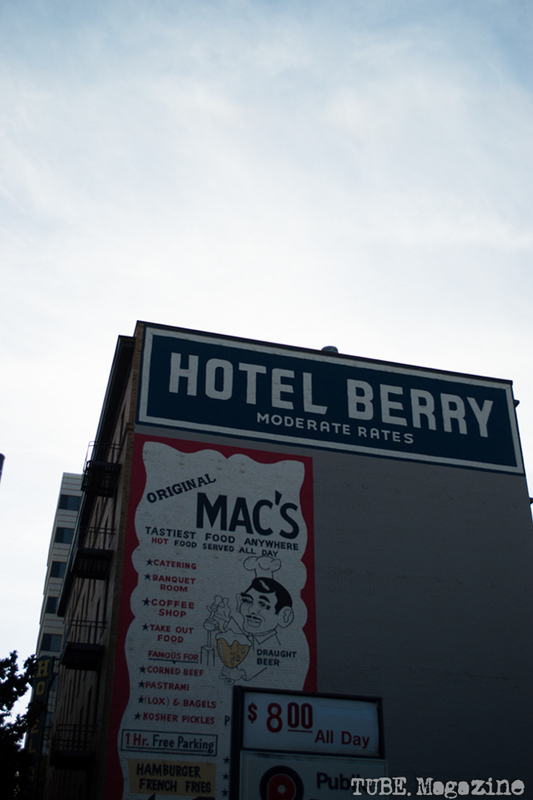 The Hotel Berry, one of a number of old hotels in downtown. Photo M.Hershenow. 2014. 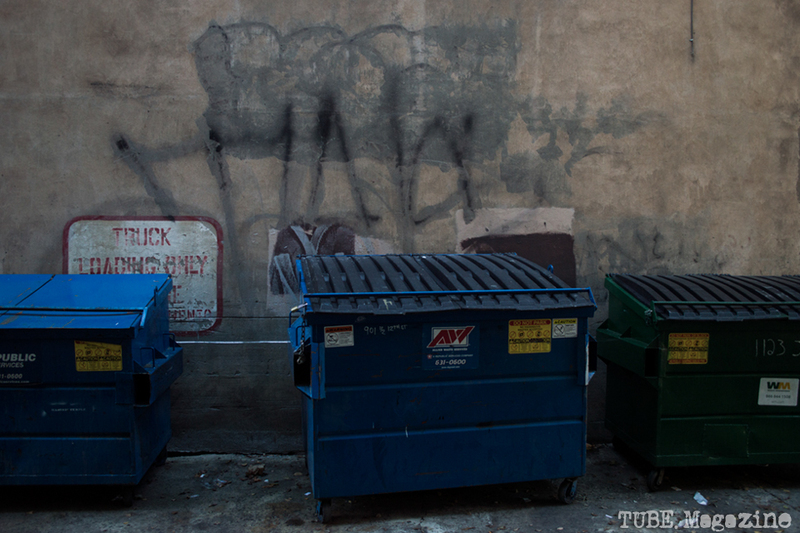 Graffiti in an alleyway off of 7th Street. Photo M.Hershenow. 2014. 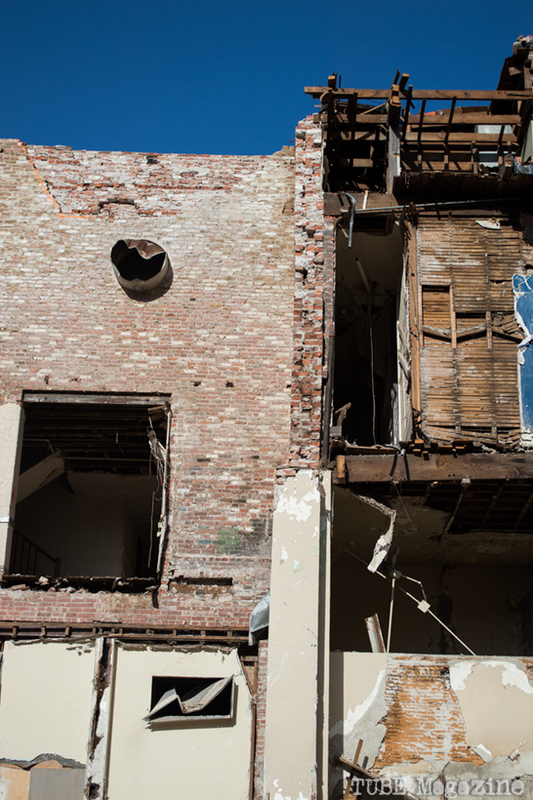 The collapsed side of a partially demolished building along 7th Street. Photo M.Hershenow. 2014. A couple waits for the light rail across from sub-street construction on 7th Street. Photo M.Hershenow. 2014. A bicyclist looks back at construction on the L Street sewer lines. Photo M.Hershenow. 2014. 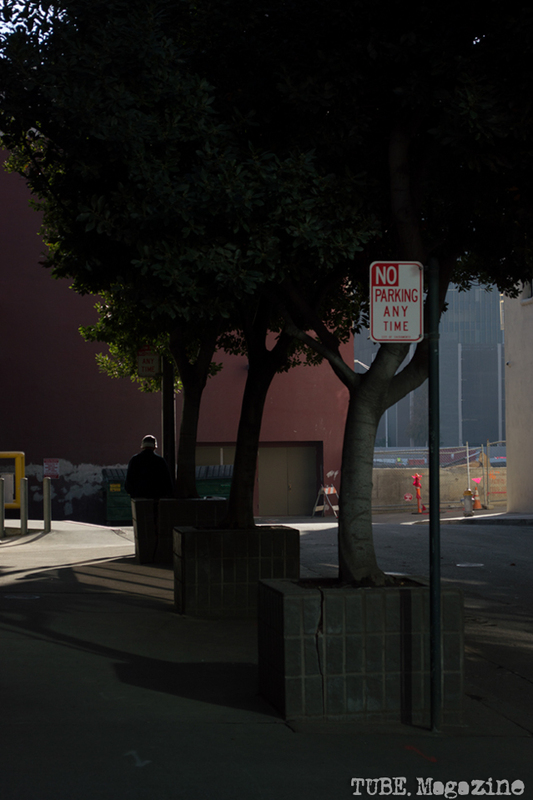 A man takes a smoke break in an alley with access to the former Downtown Plaza, site of the future Sacramento Kings Stadium. Photo M.Hershenow. 2014. Tags: 15th and I, 5th street, 7th street, 8th street, downtown, former downtown plaza, Hotel Berry, I street, J Street, K street, K street temporary murals, Kayak Alley, L street, M.Hershenow, M.Hershenow photos, photo story, Sacramento, Sacramento Kings Arena, tube magazine. Bookmark the permalink. Previous post ← Slayer: Demon Food for the Soul.